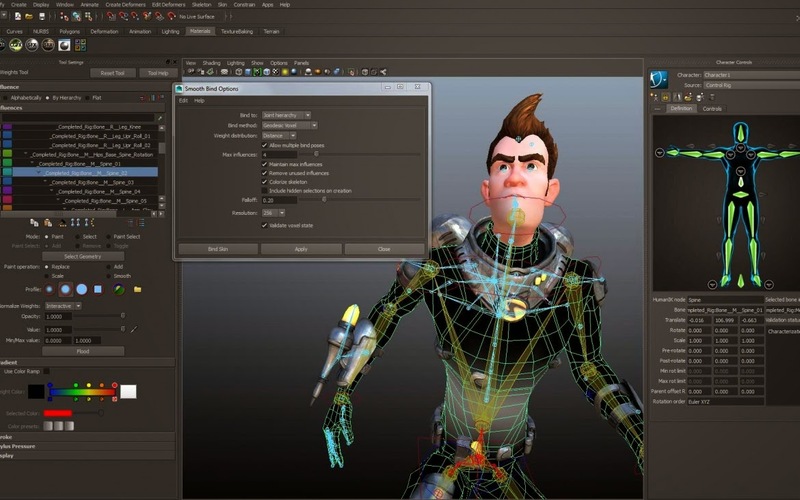 Today Autodesk announced the 2015 line up for their 3D animation software including Maya 2015. 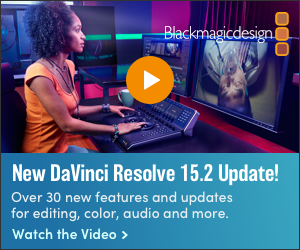 The announcement includes Mudbox, MotionBuilder, 3ds Max, Maya LT, and included in the list is the redheaded stepchild of the bunch, Softimage – Which as you have heard is being phased out and set for end-of-life. With the Bifrost Procedural Effects Platform, XGen Arbitrary Primitive Generator technology and updates to the Bullet Physics plug-in, Maya 2015 is making a big splash in the world of VFX. New to Maya 2015 is the integration of the OpenSubdiv Libraries. OpenSubdiv is a huge addition to Maya allowing Maya to take advantage of parallel GPU and CPU processing on Subdivision surfaces. These are the same OpenSubdiv libraries that were open-sourced by Pixar studios. Get your characters ready for production faster (often with only a few clicks) with this innovative new skinning method for binding standard and non-standard geometry to joint skeletons. Naiad's photorealistic liquid simulation technology is back, as the basis for the all-new Bifrost. Fully integrated in Maya 2015, Bifrost allows you to preview simulations interactively in Viewport 2.0, providing the stellar results artists have come to expect from the powerful Naiad technology. Create hair, fur and feathers or large vegetative landscapes with access to the same tools as the pros at Walt Disney and Pixar Animation Studios. No need to slow down your computer by overloading the memory -- XGen creates the geometry procedurally at render time. Create complex, highly realistic dynamic and kinematic simulations with the Maya Bullet Physics engine. 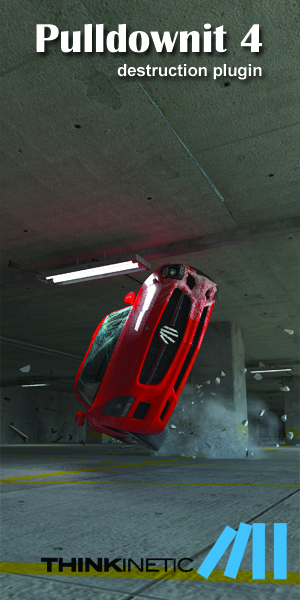 ShaderFX has been incorporated in both Maya and Max 2015. ShaderFX will offer game artists the ability to build advanced HLSL, GLSL, and CgFX viewport shaders with the ShaderFX realtime visual shader editor. Shaders can be created by the familiar click and drag node-connection workflow. Things just got real! Viewport 2.0 now supports: particles, Maya nHair, Maya nCloth, Maya Fluid Effects, Maya Paint Effects, Maya Toon, projections, and the Wrinkle deformer. And with many Maya artists choosing 2.0 already -- we've decided to make life simpler for you by making Viewport 2.0 the standard Maya viewport in Maya 2015. With over 30 workflow changes and key updates to the core feature set - we've done a lot of work in Maya 2015, making the tools you rely on even more robust, from the ground up. The ability to exchange Ptex and multi-tile UV textures between Maya and Mudbox helps facilitate an iterative round-trip workflow between Mudbox and Maya. Enhanced image plane matching between Maya and Mudbox allows artists to use the same reference image without having to readjust the image to match. Export Blend Shapes with multiple targets or Blend Shapes from Maya into Mudbox for sculpting, and then merge them back into the original Maya scene. Import MotionBuilder character animations created in Softimage in a single step and export CrowdFX simulations from Softimage to Maya for inclusion with scene elements in one click. Product release dates vary by country. Autodesk Maya, 3ds Max, Entertainment Creation Suites, and Maya LT are also available in two configurations: as a perpetual license or desktop subscription. Details and license purchasing options are available via www.autodesk.com.